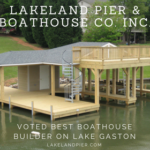 Just because Labor Day has come and gone, doesn’t mean that things are over at Lake Gaston! Fall is the perfect time to be out and about at the lake and here are just a few reasons why. The 56th Annual Virginia Peanut Festival will have all of your favorites including arts and crafts, educational exhibits, a parade, live musical entertainment throughout the weekend, tractor displays, a golf tournament, and that festival food we all look forward to every year. Friday, September 21 – Music by Candy Froust at Waterviews Restaurant: Enjoy music while you dine. There are a number of Farmer’s Markets taking place on Saturday, September 22 around the Lake Gaston area. Find the one closest to you or map out a plan to visit a few in one day! Saturday, September 22 – Lake Gaston Water Sports Championship: Come see contestants compete in wakeboarding, wakesurfing, and paddleboarding. Thursday, September 27 – Bingo: BINGO hosted at Roanoke-Wildwood Vol. Fire Dept., Aux. Bldg, Vandeveer Hall, 790 Lizard Creek Rd. (aka River Rd), Littleton, N.C. Doors open at 6:30 p.m., play begins at 7:30 p.m. BBQ, hot dogs, and other snacks are available for purchase. No one under the age of eight is admitted. Proceeds go to support the Fire Dept. Saturday, September 29 – Entertainment by Eddie Sal at WatersView Restaurant: Enjoy entertainment while you dine. Saturday, September 29 – Live Country Music at Ridgeway Opry House: Enjoy live music every Saturday night starting at 7 p.m.
Race time is at 9 a.m. Walk up registration is at 8 a.m. Register by 9/28/18 to guarantee t-shirt size. Three prizes per gender for runners and walkers. $25 for adults, youth 12 years and younger are $12. Park at 115 South Main Street La Crosse, VA 23950. Proceeds benefit Lake Country Detachment 1085 Marine Corps League Scholarship. Working Landscapes and Warren Estate have teamed up to host the first “Chefs on the Farm” event on October 7, 2018, at 5 p.m. This is a special evening of field-to-plate pairings featuring top chefs and beverage professionals from Warren County and the Triangle. Saturday, October 13 – Boating Saftey Course: Eight-hour course covering the basics of boating that is appropriate for youth as well as the adult boater. Successful completion of this course satisfies the education requirement for youth to operate a PWC in both Virginia and North Carolina. Have an event you would like us to include on our calendar. Submit it at the link below. 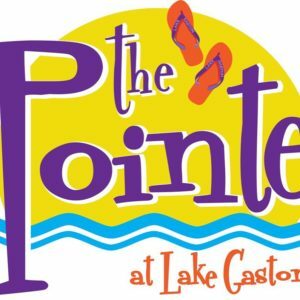 The Pointe at Lake Gaston proudly features a rotating selection of draft beers, full ABC permits, and wide selection of wines. 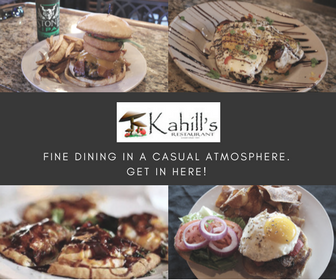 Providing creative, culinary excellence in a comfortable, refined atmosphere since 1991. They are also unique in that they feature six Tesla Supercharger Stations for the convenience of travelers looking to charge and dine. Tired of the 90-degree weather we have been having? As we go into fall, you will start seeing temperatures around 70 degrees. Perfect for boat rides and hanging out on the dock. We look forward to seeing you out on the lake soon. As always, contact us with any questions you may have.